Puer tea, the leaves go through two types of fermentation, which gives this tea its unique characteristics; a mild, but distinctively earthy flavor. 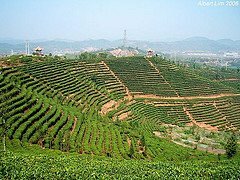 Pu’er tea are much lower in tannins than other teas due to the special processing method which it undergoes. Introducing the tea we drink everyday, this has no connection with Alkaline Water. closely guarded in China for centuries. The tea leaves are collected from growers of a special broad-leaf tea tree, which are said to be related to ancient prehistoric tea trees. The leaves go through two types of fermentation, which gives this tea its unique characteristics; a mild, but distinctively earthy flavour. Pu’er requires a minimum of 10 years to mature and gets only better with age. Pu’er teas are >b>much like fine wines, which become smoother and more balanced with age. 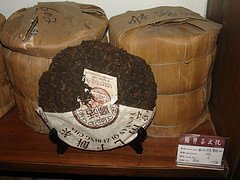 Pu’Er teas are much lower in tannins than other teas due to the special processing method which it undergoes.